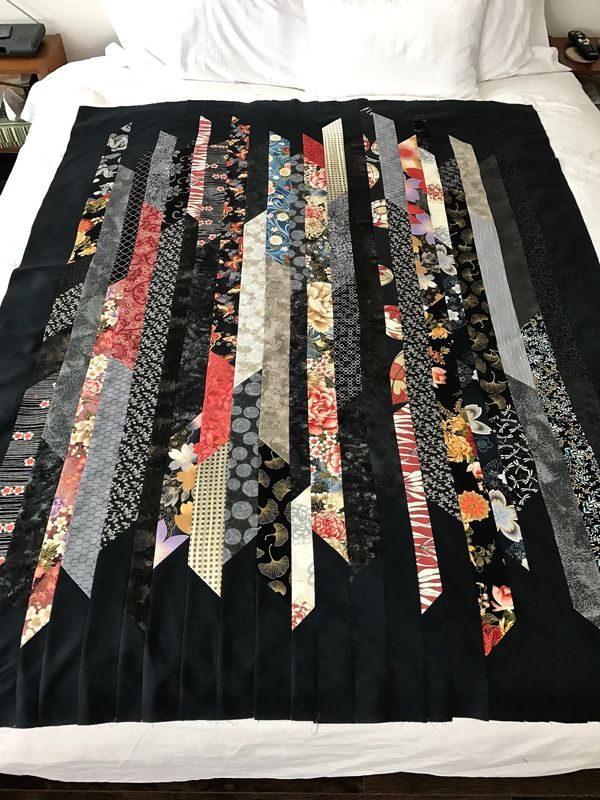 I finally finished piecing this strip quilt – much more difficult than I expected it to be. 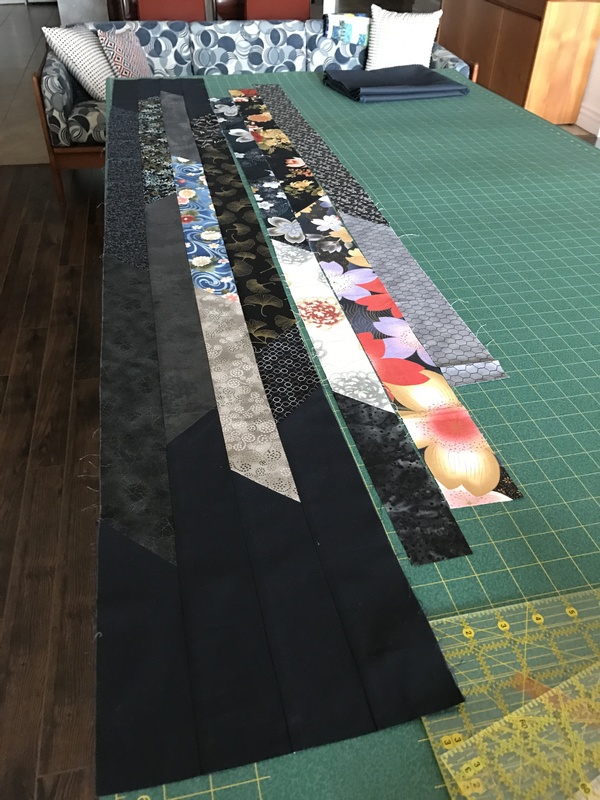 Assembling long strips, particularly strips that have themselves been pieced, and consisting of different fabrics, tends to produce a “bow” – so you have to alternate the direction in which each new strip is attached. This means you sew one strip placed on the top, the next the strip is beneath because you want to start at opposite ends of the growing top for alternate strips. The piecing of the strips themselves was also a challenge. I joined lengths of complementary fabric pieces being careful to alternate the direction of the joins from one strip to the next. Then to assemble the top each strip had to be carefully laid out, the background fabric attached at one end, that end trimmed and aligned, then the opposite background end had to be attached and trimmed. No chain piecing here – each and every strip is unique with the joins needing to be staggered and in alternating directions. So, of course, the creating and assembling of this quilt top took much longer than piecing say a collection of half-square triangles were it’s possible to mass produce the blocks. Now I have to come up with an idea for the back. I have 66″ of a single width of backing fabric – I will need to insert close to 10″ in order for the back to be wide enough for the top. Still thinking about what kind of piecing will complement the strips on the top.